During the month of November, India will receive two important visitors from China; both are members of the Politburo of the Central Committee of the Chinese Communist Party. First, Chinese Vice-President Li Yuanchao is scheduled to arrive in India on November 3. Lu Kang, one of the spokespersons of the Chinese Foreign Ministry announced that Li is coming at the invitation of Vice-President Hamid Ansari: “it is another major interaction between the two sides, which will help inject new momentum to bilateral ties,” said Lu. 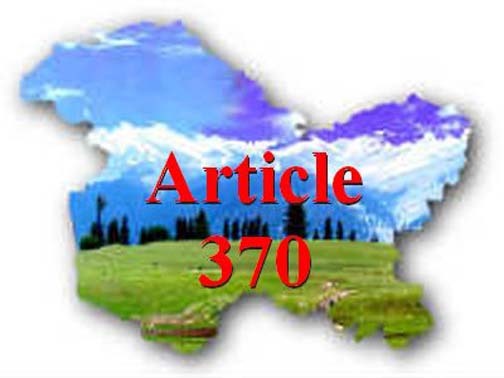 Article 370: Does Jammu and Kashmir still need it? A recent landmark judgement regarding reservations in promotion has stirred hornet’s nest in the already disturbed state of Jammu & Kashmir. The judgement has declared reservations in promotions applicable to SC/ST candidates as unconstitutional. The judgement affects 30% of the total population of the state which comprises the economically backward scheduled castes (SC) and nomadic scheduled tribes (STs). While the majority of the SC community resides in the Jammu province the STs are spread over the entire state including the remote areas of Ladakh. The second largest ethnic community of the state, namely Gujjars, are also affected by the judgement. It is but natural that the members of these deprived, weaker and peace loving communities are angry and blame the government of the day for failing to safeguard their interests. Is their anger justified? Yes. Is apportioning the blame on the present government correct? The answer is NO. Then who is to be blamed? Reaching the leading edge in technological regimes is an objective purposefully being pursued by China and the velocity of development in some technologies has been astonishing. However, the means employed for this pursuit of technology may not have been above board and there are frequent references to theft of design and documents by Chinese personnel working in industrial establishments in developed nations. This is euphemistically referred to as “Transfer of Technology”. Reverse engineering, with or without license, has been another route followed by China. However, the means employed do not detract from the results manifest. 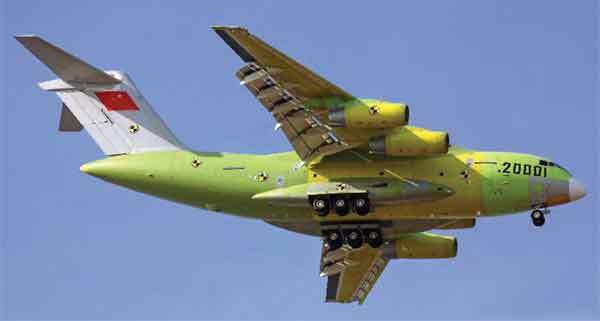 One of the areas where China has made significant strides is that of aerospace technology. Much like India, the Chinese political scene is replete with symbolic slogans. Chinese President Xi Jinping coined the term “Chinese Dream” a little over two years ago and expounded on it during the 12th National Peoples’ Congress in March 2013. The Chinese Dream, much like the Indian “Acchhe Din” slogan, visualises better conditions for the Chinese people in the domestic context while in foreign relations, it stands for peace, development and cooperation. Since its initiation, Xi Jinping has helped nurture the slogan through constant expounding including by way of his Op-Ed diplomacy wherein he authors pieces of prose for Op-Ed pages of newspapers in countries he visits (see The Hindu dated September 17, 2014 for Xi Jinping’s write-up for Indian audiences). He has made the Chinese Dream a centrepiece of his agenda and the ultimate objective appears to be making China the axis of Asia. Industry and technology, wherein China still lags behind some developed nations as far as capability and research are concerned, is naturally a focal point of the Chinese Dream. Chief of Defense Staff: An Elusive Concept? The CDS system would also be able to evolve a mechanism to acquire the right weapons and equipment for integrated and complementary deployment and performance of all the three services. Given the Indian setting of turf wars, the induced fear of military take-over and bureaucratic machinations, the adoption of the CDS system will continue to delude us. In the event of a full scale war, we may, therefore, pay a heavy price for our failure to fully integrate forces and bring about ‘Unity of Command’ in the concerned theatre. Speaking at the ‘India Today Conclave’ Raksha Mantri (RM) Manohar Parrikar made some valid observations. One of these was the need for good relations with the country’s neighbours. What he failed to emphasize is that good relations, for their long term sustenance, must flow out of a position of strength. He also pointed out that, “There is no integration mechanism that exists between the three services and there is a lot of infighting amongst them. I will recommend a mechanism for the creation of the post of Chief of Defense Staff (CDS.) Force integration and overlap will also save us money.” He further stated that he proposed to take up this issue soon. His observation of infighting amongst the services is indeed a serious indictment and projects a poor image of the armed forces in India and their leadership. India has a larger relative economic value at stake from advancing gender equality than any of the ten regions analyzed in a recent McKinsey Global Institute report, The power of parity: How advancing women’s equality can add $12 trillion to global growth.1 If all countries were to match the momentum toward gender parity of the fastest-improving countries in their region, $12 trillion a year could be added to global GDP. What’s more, India could add $700 billion of additional GDP in 2025, upping the country’s annual GDP growth by 1.4 percentage points (exhibit). A “pink flamingo” is the term recently coined by Frank Hoffman to describe predictable but ignored events that can yield disastrous results. Hoffman argues that these situations are fully visible, but almost entirely ignored by policymakers. Pink flamingos stand in stark contrast to “black swans” — the unpredictable, even unforeseeable shocks whose outcomes may be entirely unknown. The tense nuclear standoff between India and Pakistan may be the most dangerous pink flamingo in today’s world. The Indian subcontinent — home to both India and Pakistan — remains among the most dangerous corners of the world, and continues to pose a deep threat to global stability and the current world order. Their 1,800-mile border is the only place in the world where two hostile, nuclear-armed states face off every day. And the risk of nuclear conflict has only continued to rise in the past few years, to the point that it is now a very real possibility. Pakistan believes that dropping low-yield nukes on India will counter a conventional attack and yet the war will remain limited. This is stupid. That Pakistan may first use nuclear weapons in a future war with India was announced recently by Foreign Secretary Aizaz Chaudhry. Coming just two days before Prime Minister Nawaz Sharif’s visit to the United States in the last week of October, this could be considered a reiteration of the army’s well-known stance. But, significantly, it came from the Foreign Office rather than Army General Headquarters or Strategic Plans Division. Coming from both ends of the power spectrum, this confirms that Pakistan has drastically shifted its nuclear posture. In the late 1980s, Pakistan had viewed nuclear weapons very differently: they were the last-ditch means to deter a possible nuclear attack by India. But Pakistan now says it intends to use low-yield nuclear bombs, also called tactical nuclear weapons, to forestall the possible advance of Indian troops into Pakistan under India’s Cold Start operational doctrine. The Islamic State (IS) or Da’ish may have made a big mistake by blowing up the Russian airliner over Sinai. That the debris was spread over a 20 square mile area suggests one of two things: a timed plastique explosive or bomb loaded on to the plane at Sharm el-Sheikh. Or, a Russian SA-2/3 surface to air missile secured by the IS from the haemorrhaging Iraqi army and Syrian army inventories that can knock out targets at 30,000 feet — the plane’s cruising altitude. This is not far fetched a take because the IS core comprises the disaffected sunnis from the Iraqi Army. French sources with inside information — the downed plane being an Airbus 321 (a slightly modified version of the more popular 320) believe it was an explosion that instantly tore the plane apart midair. The Russian retribution — and this is what the wretched terrorists in the IS have most to fear, will not be long incoming and it will likely be horrible. Moscow may lead by deploying the most ruthlessly efficient units of the Russian Spetznaz (Special Forces)– the battalions with the Chechen Muslim fighters to take out the Da’ish leadership, followed by the use, perhaps, for the first time in mil operations, of FAEs (fuel air explosives), which are as destructive as kiloton nuclear devices. Putin will want very conspicuous revenge, and the IS are on point of suffering devastation. There was, on a much smaller scale, a hit on the IS nearer home with the killing in southern Punjab by the police of Malik Ishaq — chief of the Lashkar-e-Jhangvi, who as the Express-Tribune reports (http://tribune.com.pk/story/983479/dangerous-nexus-malik-ishaq-was-set-to-join-is-before-his-death-says-official/ ) was about to join the Da’ish as its leader in this part of the world. The IS has acquired a small following in eastern Afghanistan and has been desperately trying to consolidate its presence by putting down deep roots in the region. If the Indian government was not so bent on demonizing Pakistan, this would have been the perfect opportunity to make common cause with Islamabad to take out the scourge of the deranged Da’ish from South Asia for good. Asia’s maritime disputes extend well beyond just the East and South China Sea. From the Indian Ocean to the Sea of Okhotsk, the region is home to stubbornly persistent disputes over waters, seabed, and the resources they hold. Progress has been frustratingly slow, but the landscape of Asia’s contested maritime space has not remained static during the twenty-first century. Some boundaries have been resolved even as new disputes have arisen, thanks in large part to the extension of continental shelf claims beyond 200 nautical miles. And in some sub-regions, countries have proven much more committed to dispute resolution than their peers. Note: These maps treat the maritime claims of China and Taiwan as identical. Exclusive economic zones and continental shelves are assumed to be 200 nautical miles unless otherwise specified in domestic legislation or international filings. 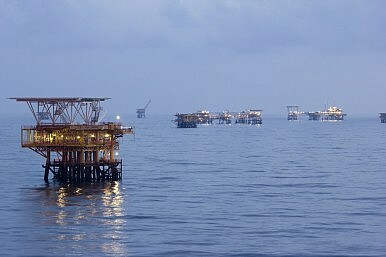 Last Friday, the Permanent Court of Arbitration (PCA)ruled that it has jurisdiction over the Philippines’ submission challenging a number of China’s claims in the South China Sea. This judgment is not only procedurally significant, it is also substantively important because it arguably undercuts an important strategic pillar of China’s approach to the disputes in the South China Sea – ambiguity. In this sense, the jurisdictional judgment could have political implications far broader than the arbitration itself. Ambiguity, as a number of commentators have observed, has long been a key feature of China’s approach to the ongoing disputes in the South China Sea. 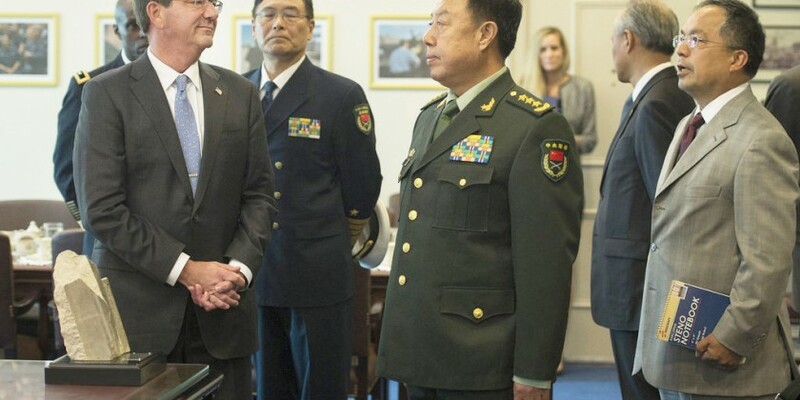 So central is ambiguity in China’s claims that one scholar describedthe claims as “unambiguously ambiguous.” This “strategic ambiguity,” which was effectively explained last week by Graham Webster in The Diplomat, ostensibly shelters China from both the political and legal ramifications of its territorial and maritime claims in the region. But the benefits of ambiguity appear to be shrinking rapidly. Politically, China’s current approach has not yielded regional stability, with claimant states growing increasingly frustrated with China’s approach in the South China Sea. Meanwhile, legally, last week’s PCA judgment demonstrates that China’s ambiguity will not function as an effective defense to compulsory dispute resolution. China, Japan, and South Korea held a long-awaitedtrilateral summit this weekend, their first in three years. 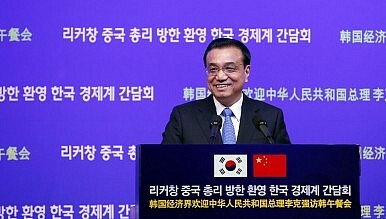 Premier Li Keqiang attended on behalf of China; he also took the opportunity of attending the summit in Seoul to pay his first official visit to South Korea from October 31 to November 2. In addition to South Korean President Park Geun-hye, Li met with Prime Minister Hwang Kyo-ahn and Speaker of the National Assembly Chung Ui-hwa. After the trilateral summit, Li held a separate bilateral meeting with Japanese Prime Minister Shinzo Abe. The Hague-based Permanent Court of Arbitration (PCA) ruled on late Thursday (October 29, 2015) that it had jurisdiction over a case filed by the Philippines, which contests China’s claims to nearly 90 percent of the South China Sea. While Beijing is entitled to its own view, it is clear that its statement lacks much basis in international law. China’s People’s Liberation Army Navy (PLAN) flew armed Shengyang J-11 Flankers over the disputed Spratly Islands in the South China Sea on Friday. The aircraft were apparently taking part in a live-fire exercise in the region. The PLAN released photos of the aircraft on its official website on Saturday but did not elaborate on where those fighters were operating from. The Chinese sorties appear to be in direct response to an earlier passage by the U.S. Navy destroyer USS Lassen near Subi Reef through waters claimed by Beijing. The Chinese J-11s appear to have been fairly lightly armed. In the photos, the jets are shown to be carrying a pair of PL-12 medium range active radar-guided missiles—which are comparable to the U.S.-made AIM-120 AMRAAM—and a pair of PL-8 infrared homing missiles. The PL-8 is thought to have been derived from the Israeli Python-3 dogfighting missile. Several developments are converging for an interesting outcome. 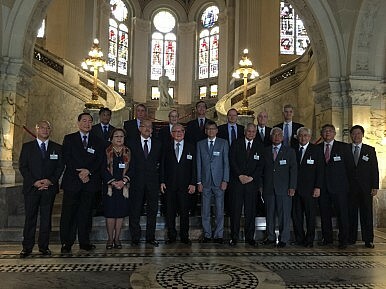 After deliberating on the matter since July, the Permanent Court of Arbitration operating under the UN auspices at the Hague accepted Manila’s plea and ruled that it has jurisdiction to decide the legality of China’s expansive and historically weak and unwarranted “nine dash-line” claims in the West Philippine Sea (aka, South China Sea) and, more importantly, to adjudicate on China’s sea territory dispute with the Philippines. The Court will now proceed to actually hear the case — a huge setback for Beijing. The Philippine arguments are based on the legality of the 1982 Convention on the UN Convention on the Law of the Seas (UNCLOS), and of its provisions affording states fronting on the seas the singular and exclusive rights to manage, explore and exploit the maritime resources within the Exclusive Economic Zone (EEZ) in the waters extending to 200 nautical miles from land, which are at variance with China’s so-called “indisputable” historical claims. Manila, cleverly, insisted it is not asking for the delimitation or delineation of the sea-territories under dispute; rather that it merely wants recognition of its UNCLOS-derived rights to the EEZ. This approach eased the pressure on the Arbitrators, who were no doubt negatively impacted by Beijing’s decision to not even participate in the judicial proceedings and, hence, questioning its bonafides. The Chinese contention (in its 147-page deposition) was that the 2002 Declaration on the Conduct of the Parties in the South China Sea (or DOC) — a non-binding, non-aggression pact Beijing signed with the ASEAN, constitutes “an agreement to resolve disputes…exclusively through negotiation.” The Court struck this interpretation down, saying the DOC is only “a political agreement that was not intended to be legally binding and was therefore not relevant to the provisions” in UNCLOS that approves dispute resolution “through any means agreed between the Parties.” Beijing was quick to rubbish this ruling. Except, a verdict against China in this case would demolish the legal basis for its claims. The rub, however, is any ruling of the Arbitration Court is not enforceable, but it will strengthen the the legal and moral case of the Philippines and the other ASEAN states also in dispute, allowing them to apply political and diplomatic pressure on China and, more significantly, to legitimate external assistance they may seek to protect their rights. Oman’s priority is to ensure a peaceful regional environment that does not threaten its domestic stability. For this purpose it has had to strike a delicate balance between the region’s two antagonistic powers, Iran and Saudi Arabia, and has sometimes pursued policies at odds with Gulf consensus. But Sultan Qaboos’ studied neutrality might be difficult to maintain in the face of a changing regional context. The Russian president’s intervention in Syria is driven by fear of Islamic extremism among his country’s own Muslim minority. But rather than squelching the threat, it’s poised to make it worse. President Vladimir Putin, Russia’s most notorious gambler, has rolled the dice in Syria’s civil war. At first glance, he seems to have come up with a seven: By boldly deploying the newest weapons in his arsenal in order to save Bashar al-Assad’s tottering regime, he has swiftly transformed the Kremlin into the center of Middle East diplomacy. His message is simple: Russia is back as a major power and a solution to this deadly, depressing war runs through Moscow. After a month of bombing anti-Assad Sunni rebels, Putin summoned Assad to a surprise meeting in the Kremlin, setting off fresh speculation that a made-in-Moscow formula for ending the war was now in play. The United States was understandably intrigued: After only one meeting with Russian Foreign Minister Sergei Lavrov, Secretary of State John Kerry agreed to invite Russia’s ally, Iran, to a new round of Syria peace talks, which occurred on Oct. 30 in Vienna. A coherent strategy requires three basic elements: ends - or goals, ways - methods to accomplish them, and means - allocated resources sufficient to apply the specified means. Although current American Middle East strategy may contain all three, the substantial disparity between the stated ends and the means by which the U.S. is asserting national power has rendered whatever strategy there may be ineffective. In fact, the United States has increased strategic risk to a dangerous level, first though this imbalance between U.S. ends, ways, and means, and second through a complete misunderstanding of adversaries’ goals, and the actions taken by these adversaries to achieve those ends. Most notably, the U.S. has failed to appreciate this strategic risk in regards to the Syrian Civil War and the role of Iranian influence in the region. No respectable historian will find much to admire in the president's legacy as foreign policy and national security leader. Still, they may well bicker for many years over why he does what he does. The White House recently announced special operations forces are going into harm's way in Syria. That choice may be one of the defining moments historians seize on to understand the Obama way of war. What to make of this decision? For starters, dispatching a small number of special operations forces into Syria to help handle ISIS is hardly a game changer. Special operations forces are called "special" for a reason. In part, the handle reflects that these troops have special training and equipment, and conduct unique military missions. Their impact, however, is also considered "special." They deliver a unique "temporary" advantage, whether it’s rescuing hostages, hunting SCUDs, training a freedom fighter or taking down a terrorist. A special-ops “mission accomplished” delivers either a quick and passing win (like getting bin Laden) or an essential preparatory act for a larger campaign (such as harassing Japanese supply lines in Burma during World War II before the Allied counteroffensive). Will Britain's New Engine Lead to a Hypersonic Bomber? British aerospace industry giant BAE Systems is investing in Reaction Engines Limited to develop a new type of hybrid jet/rocket engine that could potentially lead to the development of new hypersonic aircraft or a space vehicles. While the British development is aimed at civilian applications, the technology has immense military value. A hypersonic missile or aircraft would be able hit targets at speeds and ranges that are unheard of today. Moreover, defending against such an attack would be extremely difficult. Under the deal, BAE will buy twenty percent of Reaction Engines for $31.8 million. But BAE will also supply the smaller company help with technology and industrial capabilities so that it can conduct a ground demonstration of its new engine. The British government is also chipping in with a funding grant worth $90 million to continue the development of the Synergetic Air-Breathing Rocket Engine (SABRE). “This partnership builds on the outstanding technical breakthroughs that Reaction Engines has made and the positive assessments received on the potential of the technology from experts at the European Space Agency and the United States Air Force Research Laboratory,” said Mark Thomas,Reaction Engines’ managing director. Since 2011, various luminaries, organizations and governments have proffered plans to stop the carnage in Syria, and to create a unity government to enable constitutional reforms and clean elections in which the millions of Syrians who have fled to neighboring countries (mainly Lebanon, Jordan and Turkey) can participate. The Arab League dispatched a mission to Syria at an early stage of the war, and a sixty-person monitoring group resulted; it lasted barely a month and was driven out by the violence. Kofi Annan tried to create peace and failed,resigning in 2012. His successor as UN peace envoy, Lakhdar Brahimi, gave upin 2014. The Iranians offered their six-point peace plan at the end of that year; it withered on the vine, as did the proposals made by Assad in 2013. The United States and Russia held meetings on Syria in 2012, in the wake of the crisis created by Assad’s use of chemical weapons, but failed to produce the barest blueprint for a settlement. Critics of the July 14 nuclear deal with Iran railed against it on the grounds that it would embolden what they argue is Tehran’s destabilizing behavior in the Middle East. The reasoning goes like this: lifting sanctions gives Iran access to tens of billions of dollars that will flow to fund disruptive activities and lets Iran freely pursue its regional ambitions without fear of reprisals. The cynics had a point. On the heels of the nuclear deal, Russia’s stepped-up military involvement in Syria came hand-in-hand with Iran’s redoubling of its armed support for the blood-soaked Assad regime. But to the surprise of many, Russia simultaneously opened up a parallel diplomatic track that now includes the United States, Turkey, Saudi Arabia, Britain, Egypt, Germany, France, Turkey, Qatar and the United Arab Emirates. Unlike previous diplomatic rounds on the fate of Syria, this time Iran was also invited. The participation of the Iranians—a pivotal player in the Syrian civil war—would not have been possible without the successful conclusion of the nuclear deal. And if, in fact, there is an eventual political settlement in Syria, it will have been made possible in no small part by the nuclear deal. Imagine the US actually curbed its military adventurism, reeled in the Pentagon budget and closed its global network of bases. Then what? Let’s say the car stops and we get our teeth around the tire. Let’s say we bite down hard enough to let out all the air from the US empire. Now what? Those of us who have campaigned for a radical reduction of the US military footprint overseas, for a major scaling back of US interventionist capabilities, and for a shift of Pentagon funding toward necessary improvements on the home front have spent so much time detailing our objections to the status quo that we don’t have much time left over to consider what would happen if we succeed. Summary: Europe’s people thought that the economic crisis that began with Greece in 2010, quickly spreading, was their test of the decade. They’re slowly realizing that the flood of migrants, especially from the Middle East, poses a far larger and more profound threat — disrupting not just the European Union, but also to the politics of its individual nations. Here is Stratfor’s analysis of the dilemma facing Germany, the EU’s core. A massive wave of migration has been sweeping Europe for much of 2015 as hundreds of thousands of people arrive from conflict-ridden parts of the globe. The European Union is still struggling to find a way to stem the flow or adapt. Germany, as both a major migrant destination and EU leader, has led the effort. On Oct. 25, a selection of European leaders gathered in Brussels to discuss the crisis, including representatives of Germany, Austria, Hungary, Slovenia, Croatia, Bulgaria, Romania and Greece. Non-EU members Macedonia and Serbia also took part. The summit was the latest attempt to come to a consensus on a solution to the problem and contain the resulting political fallout. To disrupt today’s nation state adversaries and tomorrow’s cyber terrorists and hacktivists, we must reengineer selected last-mile and endpoint elements of the U.S. power grid. This activity need not be applied to every system on the grid, rather, only to those we judge most essential to national security. But we need to begin this process now. Download PDF file of "The Case for Simplicity in Energy Infrastructure"
In the Republican presidential race, while Donald Trump’s star has faded a little, he continues to lead nationally in most polls. To be sure, he is not going to be president. Trump is more of a circus barker than a plausible commander-in-chief. But his continued polling success should indicate something about his appeal that observers from both parties would best understand. And partly, believe it or not, this has to do with U.S. foreign policy. Trump has staked out a combination of foreign policy positions that leave him with a distinct niche, however unwelcome to elite opinion. He opposes free trade agreements like the Trans-Pacific Partnership, and favors draconian punishments for illegal immigrants. He says it’s time to get tough with China and Japan on trade—and “beat Mexico,” while we’re at it. He supports a strong U.S. military, including increased defense spending. He claims to have opposed the 2003 invasion of Iraq. He declares that America has little to show for its years of intervention within the Middle East, and suggests that if Vladimir Putin wants to engage more deeply in Syria, he’s welcome to it. In fact Trump says he could get along very well with the Russian leader. At the same time, Trump favors a much more aggressive U.S.-backed campaign against the Islamic State. As our electrical system lifts itself out of the stone age, the defense built around it will require added vigilance. My favorite joke when I was 5 years old was, “Where will you be when the lights go out?” The answer, of course, is “in the dark,” though I used to make my very patient sister guess a bunch of other places first, which I used to think was absolutely hilarious. We are fortunate that in this country having the lights unexpectedly go out is actually a pretty big deal, and quite rare. You don’t have to wonder whether the light will come on when you throw the switch, or if your computer will have enough power to boot up. The sodas in the fridge are always cold and our showers are always warm. It always just happens, so we more or less take it for granted. That comfortable reliance on modern, powered conveniences is one of the things terrorists really hate about us. So, it was no surprise CNN reported this week that ISIL is trying to attack the utilities grid. The interesting thing is, the spin that federal officials were putting on the story is that the attacks have been largely unsuccessful, and that the terrorists have little capability to enact a major attack against a utility. But that is kind of a misconception based on the two different types of networks found at most utilities. Unlike employment in the three traditional war-fighting domains, the present employment of capabilities in the space domain cannot be achieved without cyberspace.3 The recognition of this unique relationship between space and cyberspace has profound implications for recruitment; initial, intermediate, and advanced training; and development in the space and cyber career fields. A transition from the current force-development system towards one that acknowledges the unique relationship between space and cyberspace will have the additional benefit of informing the greater operational community as war fighters in the land, maritime, and air domains continue to become increasingly dependent upon cyberspace and space. This article discusses the implications of cyber dependency and proposes six recommendations to ensure that from recruitment to advanced training, space and cyber Airmen are prepared to excel in their interconnected domains. After bombing Islamic State of Iraq and the Levant (ISIL) forces for more than a year, the United States (US) and its multi-national coalition are locked in an apparent stalemate with this threat to regional and global stability. Within the limits of policy restrictions to the application of hard power (military) to break this stalemate, the US must smartly employ the softer elements of national power, specifically information, to defeat this enemy. While ISIL is widely recognized as conducting a masterful campaign in the information environment to achieve its strategic ends (Talbot, 2015), the US should not strive to compete directly with ISIL in an information war. ISIL defeat requires attacking the root cause of the conflict with all tools of national power and information can best serve as a unifying, and in most cases supporting, element for the other more direct instruments of power in achieving that end. This paper provides recommendations for US actions to counter the ISIL information war at the strategic, operational, and tactical levels of war, as well as within the cognitive, informational and physical dimensions of the information environment. At the strategic level, the conflict with ISIL is a war between ideas ultimately waged in the cognitive dimension of the information environment. Per joint doctrine, the cognitive dimension is the realm of decision-making and rests heavily on factors such as beliefs, norms, motivations and, perhaps most importantly in this case, ideologies. Unfortunately for the US and its allies, ISIL is waging a jihad, or holy war, based on an ideology that resonates deeply with elements of the regional, and sometimes global, Muslim community. Abu Bakr al-Baghdadi’s declaration of a caliphate upon ISIL’s seizure of Mosul in 2014 was a deliberate message to Muslims who had been “psychologically primed for a long time to the idea of reestablishing the caliphate” (Talbot, 2015). It is a powerful message to a population long disenfranchised from dictatorial Middle Eastern governments and one that will be difficult to overcome directly. LAST MONTH THE World Bank published new global poverty estimates. They confirm that the last 25 years represent an auspicious moment in the annals of human progress. A target to cut the rate of extreme poverty in half over this period was achieved seven years ahead of schedule. Preliminary final accounts show a reduction of over 70 percent. A new goal to finish the job by eradicating extreme poverty over the next 15 years has now been endorsed by the UN. To understand how this might be achieved, we must first recognize that the lives of the poor are fundamentally changing: We’re witnessing the end of marginalization thanks to the connections made possible by digital networks. Laurence Chandy is a Fellow at the Brookings Institution. Emerging Cyberthreats: What, When, Where and How? Last Monday, Gov. Rick Snyder said Michigan state government faces 2.5 million cyberattacks (on average) every day. “I believe we actually are getting attacked more,” said Snyder at the North American International Cyber Summit in Detroit. What happens after an attack? If the attackers are stopped, the online battle keeps rages on — and on. But if the attackers are successful, personal identity theft could be one devastating outcome. 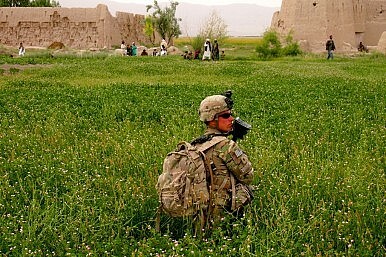 Can the Counterinsurgency Doctrine Be Saved? With the apparent lack of progress and success in Afghanistan and Iraq, counterinsurgency (COIN) has fallen out of favor within the political and military establishments in the U.S. and elsewhere. Regardless of whether these failures were due to erroneous implementation or theoretical shortcomings, COIN is no longer considered “hot” in strategic circles. However, one should be careful not to throw the baby out with the bath water. There are elements of COIN worth preserving and retaining for future operations. By modifying our understanding of COIN using insight from security and peace-building literature, a revised concept can be developed which could inform future irregular wars more efficiently than current doctrine. We call it the stakeholder-centric COIN. The 1980s Called. They Don’t Need Their Cruise Missiles Back. Lest anyone think that Barack Obama defanged America’s nuclear deterrent, we should all rest assured. The nuclear triad of submarines, land-based missiles and nuclear-armed submarines remains, just as it has for over 50 years. The Navy is going to produce a new ballistic missile sub. The Air Force would like to upgrade the ICBM force. The contract for the follow-on to the B2 bomber was announced just last week. If you’d gone into a coma the night the Berlin Wall fell and woken up 25 years later, you wouldn’t notice much difference other than lower numbers. The structures and strategies remain intact. Those strategies are so persistent that once again, the United States is gearing up for a debate on yet another weapons system from another era. Apparently, the nuclear-armed B-2 and its stealth capabilities are not enough to guarantee our nuclear deterrent, at least not for advocates of a new nuclear air-launched cruise missile (what used to be called ALCMs). The “Long Range Standoff” (now blessed with the new acronym LRSO) would be the follow-on to the cruise missiles meant to be launched by bombers against the old USSR during World War III. Why do we need a new LRSO? We don’t, unless you think America should be prepared for a protracted, all-out war with the old Soviet Union. The purpose of the old ALCM was to allow U.S. bombers to get close enough to fire its cruise weapons from a distance as part of a campaign of suppressing enemy air defenses and other targets at the edge of enemy territory. As part of an over nuclear war-fighting strategy, it made sense—at least, it made sense if you believed in nuclear war-fighting strategies.